Amazing opportunity in Reunion! 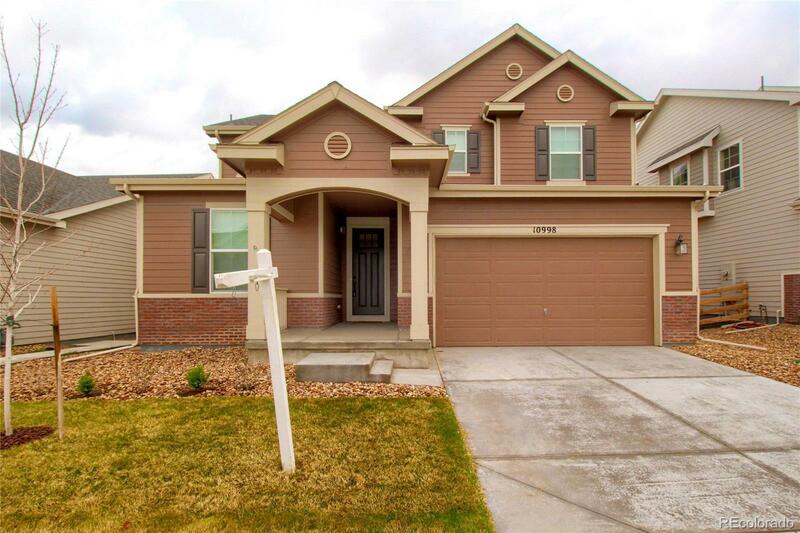 This gorgeous (LIKE NEW) 2-story model greets you with an inviting & open layout. The kitchen features soft-close espresso cabinetry, ample pantry storage & a large kitchen island. Walk out to a private, low maintenance yard w/ stamped concrete patio. Cozy up to the fire-pit on cool summer nights; a gas-line is already installed for year-round barbecuing. Home boasts 3 spacious beds, a generous master w/ walk-in closets & spa-like 4-piece bath. Large, energy-efficient triple pane windows let in tons of natural light. A bonus office or playroom is perfectly situated on the main floor. Oversized 2-car attached garage for sports equipment or workbench area. The unfinished basement has grand, 9ft ceilings & rough-in pluming; ideal to finish off with a cozy den, additional bedroom & bathroom. Moments away from schools, local neighborhood parks, fitness center & splash padâ¦ all included with low monthly HOAs. This home will not last long!